The Observer reported on the rise of the Islamic State in Iraq and Al-Sham, or ISIS, two weeks ago. Since then, Al-Qaida has expelled ISIS from its ranks, and the group’s power in Syria seems to be diminishing in the face of a joint rebel offensive. I spoke to Muhammad Ali, the only reporter to have escaped Syria in recent weeks with footage of the brutal terrorist force. Ali was pacing the “Frontline” newsroom at WGBH in Boston last week, restless and “bored” by a series of editorial meetings and interviews before the national broadcast of his report on ISIS. Ali had been to the center of the action, and he was itching to get back— if not to the Syrian warzone, then to another embattled area of the world. ISIS, known for its kidnappings and public beheadings, has made a risky bid for territory since the beginning of the year, imposing a harsh reading of Sharia law on towns and villages across Syria and Iraq, worsening the security situation in both countries. 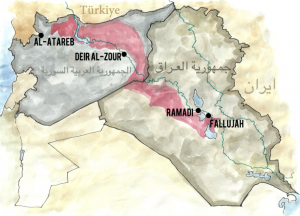 In January the major rebel groups mounted a joint offensive against ISIS under Jamal Maarouf, consolidating their strength for the first time since the revolution began in 2011. 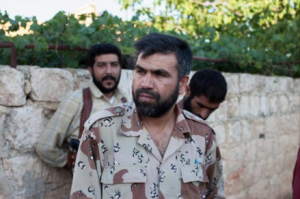 “The fight against ISIS has stopped the rebels’ fight against Assad almost completely,” Ali said. As the rebels struck back, ISIS took control of Ramadi and Fallujah in Iraq, where US troops fought hard against Al-Qaida insurgents 10 years ago. Recently ISIS lost control of Ramadi, and Iraqi Prime Minister Nuri al-Malikisaid he is determined to expel it from Fallujah. As of Feb. 12,ISIS had withdrawn from Deir Al-Zour in northeastern Syria. The rebels are trying to push ISIS back towards the Iraqi border, and they seem to be tipping the balance against the terrorist group. On Feb. 3, after a month of increasingly intense combat between ISIS and the official Al-Qaida affiliate in Syria, Jabhat al-Nusra — which had joined the rebel front and helped Ali sneak across the border — Al-Qaida chief Ayman Zawahiri announced the ejection of ISIS from the Al-Qaida network. Zawahiri’s statement condemned ISIS’s fight with Jabhat al-Nusra, and its brutality. Zawahiri ordered ISIS, which is made up primarily of Iraqi fighters, to limit itself to Iraq. But now ISIS is facing increased resistance in its home country from some local tribes, the basic units of political power in Iraq. Some commentators have noted that public perception of ISIS’s brutality may prevent the group from building any lasting political power. Despite the split from Al-Qaida, ISIS remains perhaps the most dangerous terrorist group in the region. It’s also “the single biggest threat to journalists” in Syria, according to The Committee to Protect Journalists, which has counted 30 reporters missing in Syria since the arrival of ISIS in April 2013. Ali saw no other journalists on his latest trip to Syria, but he heard of an Iraqi photographer who was executed. Ali tried to embed with ISIS militants, but the group refused to offer him any protection. His only choice was to go undercover. He has thus far escaped capture, despite shooting footage in an ISIS-held town where carrying a camera could have meant a death sentence. “I’ve seen people beheaded in front of me. Nothing affects me anymore,” he said. Ali said he has been kidnapped and tortured by Hezbollah, and wounded by Assad’s shelling. He calls his relatives in Syria every day to be sure they’re still alive. Ali has made 13 trips to Syria as a war correspondent, but he said that his visit for “Frontline” was a “suicide mission.” Posing as a Jabhat Al-Nusra fighter, Ali passed through 13 ISIS checkpoints while crossing the Syrian border from Turkey in December. 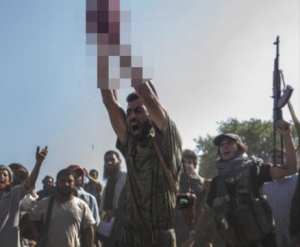 Aftermath of the beheading of an Assad regime soldier by ISIS in August 2013. Perhaps the risk was worth it. “Syria’s Second Front” premiered on “Frontline,” the PBS public affairs documentary series, on Tuesday night, reaching an audience of almost three million. It was the first time Americans saw footage of ISIS. When the revolution began, Ali abandoned his job as an economic reporter to shuttle between Istanbul, London, and Syria as a freelance journalist for the BBC. His reporting from the Syrian front covered not only the war but the changes to civilian life that the fighting was bringing— changes that ISIS has thrown into further disarray. Ali’s reporting reveals more than the danger posed by ISIS militants. The rebels whom Western journalists far removed from the fighting call “moderate” may not be as tame as they seem. And the rebel command structure, brought together for the first time under Jamal Maarouf by the common struggle against ISIS, is volatile. Maarouf, the controversial commander of the 12,000-man Syrian Martyrs’ Brigade, refused Ali’s interview requests for a week. Ali shadowed him, watching Maarouf gather with his officers every day for hours over endless pots of tea and coffee. When Ali threatened to leave, Maarouf finally agreed to be interviewed. In January, Ali followed Maarouf into battle as his forces recaptured the crucial ISIS-held town of Al-Atareb. Ali did not hide his opinion of Maarouf’s leadership. “I told him, ‘You are trying to be a dictator,’” Ali said. Ali has been covering the Syrian civil war since its start in 2011, but he has been a journalist since attending university in Damascus, when he roamed the Middle East chasing stories and rarely showing up to class. “I would give [my professors] a call every once and a while telling them what I was doing,” he said. Their advice, he said, was to not get thrown in jail— advice he’s never followed. Ali left Boston on Wednesday and returned to London. He may go on to Somalia, or return again to Syria. “I might not go back to Syria right away,” he said.